Low cost airlines offer a way to travel on the cheap — provided you understand how the system works! 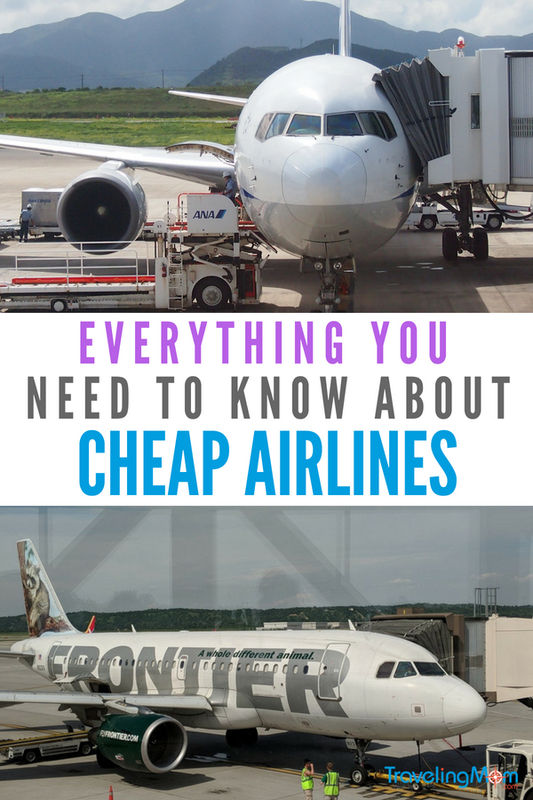 From baggage fees to reward credit cards, our Military TravelingMom, a frequent flyer on budget airlines, tells you what you need to know before you book on Frontier Airlines, Allegiant Airlines and Spirit Airlines. Editor’s note: This post contains affliate links. If you click through and buy, TravelingMom gets a small commission. As a military family, we travel frequently, especially now that my husband is stationed on the other side of the country. Because flying between California and Florida once a month is spendy, I’m always looking for cheap flights. Usually that means low cost airlines with no extras. Those budget airlines, done right, can be cheap. Done wrong, they can be as expensive, or even more expensive, than the major carriers. With the tagline “low fares done right,” Frontier prides itself on offering the lowest fares while providing top notch customer service. This rapidly growing low cost carrier serves 95 cities throughout the United States, Mexico and the Dominican Republic. Frontier Airlines is known for having incredible sales, including non-stop flights starting at just $20! Flights that cheap entice many to drop everything to travel, even last minute. What’s Good About Frontier Airlines? MyFrontier – Free Frontier miles membership that allows travelers to earn miles for each flight. Discount Den Membership – For just $49.99 a year, Discount Den Members are the first to hear about sales, earn Frontier miles with each flight, and have access to the lowest fares. The low fares apply to up to six people on one booking. 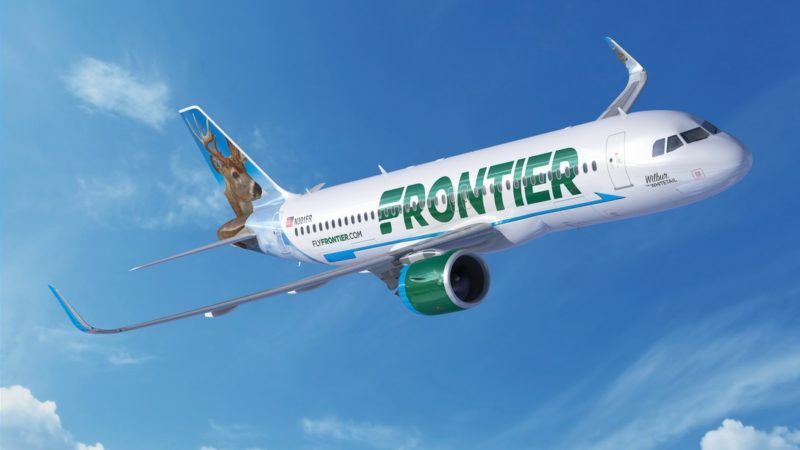 There are quite a few things about Frontier Airlines that I really like. Earning free flights can be quick and easy with one-way flights starting as low as 10,000 miles! That means the credit card bonus of 40,000 miles could get you up to four one-way tickets, or two round trip tickets. What’s Not So Good About Frontier Airlines? No complimentary food or beverages – Plan to buy them at the airport or on the plane or bring your own snacks and a refillable water bottle you can fill after passing through TSA security. No reclining seats – Makes it hard to get comfortable on long flights. Little to no padding on seats – Your bum can get a little sore after so long. Hefty fee for overweight luggage ($75 for anything over 50 lbs) – I’ve had them waive the fee if it was over by a little bit, like a pound or so. No WiFi available – Just plan ahead and download shows or movies or bring a book to read. Giving up the creature comforts of padded and reclining seats can make longer flights extremely uncomfortable. It can also be difficult when trying to save on bag fees to make sure you stay within the allowable weight limit. Paying the overweight fee can be shocking to the budget. Family Miles Pooling – Elite 20k members and Frontier Airlines cardholders can choose to pool their miles with up to 8 people. This allows “family” members to combine miles to be able to earn free flights quicker. Best part: “You define your family.” That means you can pool miles with aunts and uncles, friends or even co-workers. Low pet travel fee – Pets are allowed on most flights for just $75 each way. Assigned seats – Even if you don’t pay to choose your seating assignment, you will be assigned a seat at check in. Bundle & Save option – Frontier Airlines offers the option to bundle bags and seat assignments, which can save you some money on the extra fees along with giving you perks like priority boarding. Automatic credit vouchers issued after a delay of more than three hours – How much you get depends on the length of delay. I’ve gotten $25 for a three hour delay and $100 for a six hour delay. Military Discounts – Frontier Airlines offers military discount fares for active duty service members, but the biggest perk is that active duty members with valid military ID get two free checked bags and a free carry-on. Unfortunately, this perk isn’t extended to dependents. Does Frontier Airlines Work for Families? Frontier Airlines does everything it can to make sure families are seated together. When booking, you have the option to pay a fee to select assigned seats. That ensures you don’t have to be separated from your loved ones. If you end up with separate seats, ask at the gate whether there are any seats available together. Another family friendly benefit is that families with young ones are given priority/zone 1 boarding to allow a little extra time to get the kiddos settled in. Also, check the tail of the plane to see if you’re flying with Griz the Bear, Flo the Flamingo or Otto the Owl. If you are, be sure to ask your flight attendant for a free collectable trading card! TravelingMom Tip: If you’re paying for seat assignments, consider the stretch seating, usually the first few rows. These rows give you some extra leg room and allow full recline. For a little more month, another option for more legroom is an emergency exit row (unless you’re traveling with young kids; kids 14 and youngers are not allowed to sit in exit rows on planes). Allegiant Airlines isn’t as well known or as large as the other two budget airlines. Focusing on no frills, Allegiant only offers non-stop flights and a limited flight schedule to destinations within the U.S., mostly in and out of lesser known airports. What’s Good About Allegiant Airlines? Non-stop flights – No hassle of changing planes. Fly in and out of smaller airports – Hometown airports are usually smaller, less crowded and sometimes even offer free long term parking. Allegiant World Mastercard – Allegiant offers a 3, 2, 1 structure. Earn 3x the points on all Allegiant purchases, 2x when used for dining costs and 1x on everything else. Assigned seats – You’ll be given a random seat assignment upon check in. Cheaper baggage fees – Baggage fees vary, but in most cases they are less than the competitors. Unlike other airline credit cards, Allegiant World Mastercard offers an opportunity to earn a free companion flight. Earn that by booking a vacation that includes at least four nights in a hotel or a week long car rental. What’s Not So Good About Allegiant Airlines? Limited flight schedule – To keep costs down Allegiant doesn’t fly in and out of destinations every day. No frequent flyer program – The only way to earn points is to get the Allegiant Mastercard. Baggage weight limits – Oversized baggage fees start at 40 lbs and the fees are hefty, starting at $50. No free refreshments – Plan to buy them at the airport or on the plane or bring your own snacks and a refillable water bottle you can fill after passing through TSA security. Call center booking fee – There is a charge of $14.99 to book your flight using the call center. Boarding pass printing fee – For a fee of $5 you can print your boarding pass at the airport. Seasonal flights – Some of Allegiant’s routes are seasonal and don’t operate all year. The limited flight schedule might work when booking, but what happens when there is a cancellation? Unfortunately, you have to wait until the next scheduled day. That means you could be stranded for up to a week or so. Not good at all! Read More: Why is Travel Insurance So Important? It’s also important to know where you’re going on Allegiant Airlines. 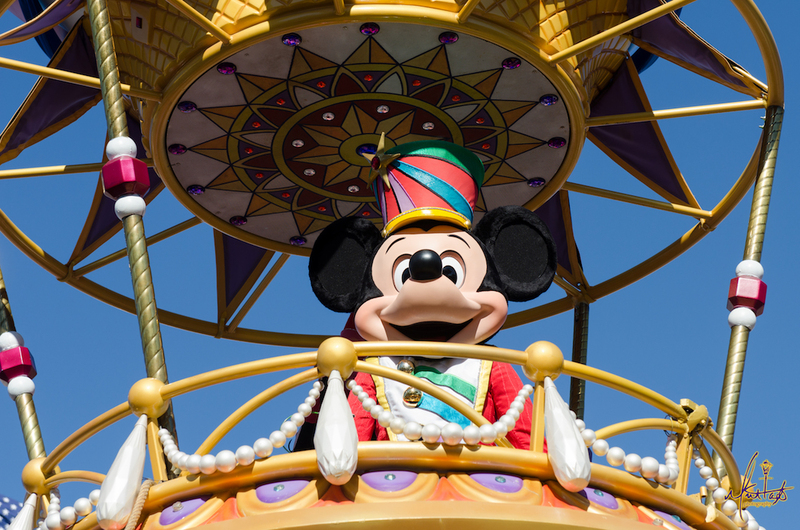 For example, when you book online for a flight to Orlando for your family vacation at Disney World, you won’t be booking a flight into Orlando International Airport. You’ll be flying into its other, lesser known airport, Sanford. That means no access to Disney’s Magical Express. You’ll need to add in the cost of a shuttle or rental car when calculating the total price for your trip. Buy one get one – The opportunity to earn BOGO flights as a Allegiant card holder is a great way to save. Easy to use app – Allegiant’s app is available for Apple and Android products. Smaller airports – Smaller crowds, quicker TSA lines and possibly closer to home, smaller airports have their benefits. Non-stop flights – No chance of missing your connecting flight. And you don’t have to pack up and run to another gate. Military discounts – Three free checked bag weighing up to 100 lbs, free carry on and more. Allegiant Airlines offers the best military discounts of the three airlines. Besides the free baggage, military members are also eligible for free seat assignments and boarding pass printing. And the discounts are extended to spouses and dependents! But the perk that makes Allegiant shine: it allows one free pet in cabin for military. 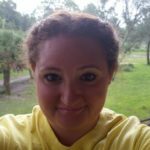 Does Allegiant Airlines Work for Families? Allegiant tries to work with families, but doesn’t make any promises. To guarantee everyone sits together, you’ll have to pay for seat assignments. Families can check strollers and car seats for free at the time of check in or at the gate. TravelingMom Tip: Due to the limited flights, use Allegiant to visit family, so you have a free place to stay if your flight is cancelled. Or buy travel insurance that covers the cost of travel delays. After a rocky start, Spirit Airlines became a pioneer in the low cost airline travel business. It was the first to start charging for carry on bags under the “pay for the amenities you want” business model we see among low cost carriers today. Flying to more than 60 destinations in the United States, Latin America and the Caribbean, Spirit Airlines has more than 400 daily flights to choose from. What’s Good About Spirit Airlines? Fit Fleet – Spirit prides itself on having one of the youngest fleets in the industry. The planes are top in fuel efficiency which in turn saves you money. Newer planes also means the risk for maintenance issues is lower, so less chance of delays. 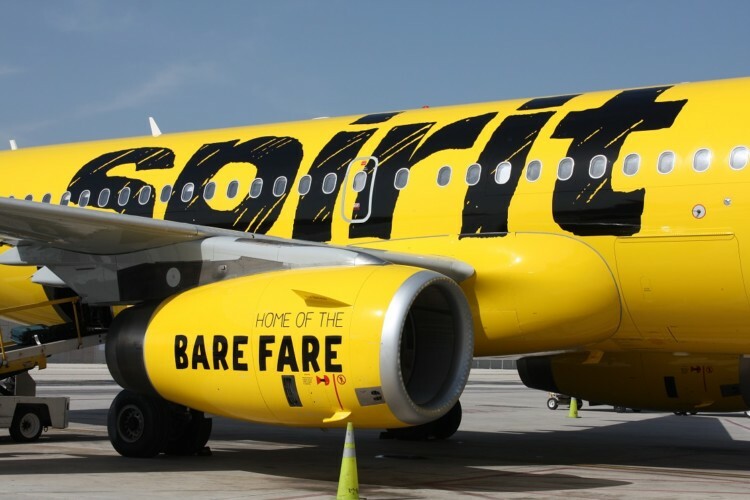 Free Spirit – Spirit Airlines frequent flyer program allows you to earn miles with each trip. Unique destinations – Out of the three low cost carriers, Spirit is the only one that travels to destinations like Jamaica, Panama, and Guatemala. Spirit Airlines Mastercard – Offered through Bank of America, Spirit’s credit card lets users earn miles 2x faster and the current sign up bonus of 15,000 miles can be used for up to three round trip tickets. The great thing about Spirit’s frequent flyer program is that Spirit has partnered with a variety of companies so that you can earn miles on purchases like dining out and hotels. And with flights starting as low as 2,500 miles you’ll be flying free in no time! What’s Not So Good About Spirit Airlines? Baggage limits – Oversized baggage fees start at anything over 40 lbs. No complimentary refreshments on board – Better pack your own snacks or plan to purchase some. No reclining seats – It can be rough sitting straight up for hours on end. Charges to print boarding pass – There are charges to print boarding passes at the airport kiosks or by a desk agent. No WiFi – Download shows or movies or add a new book to your kindle before hand. 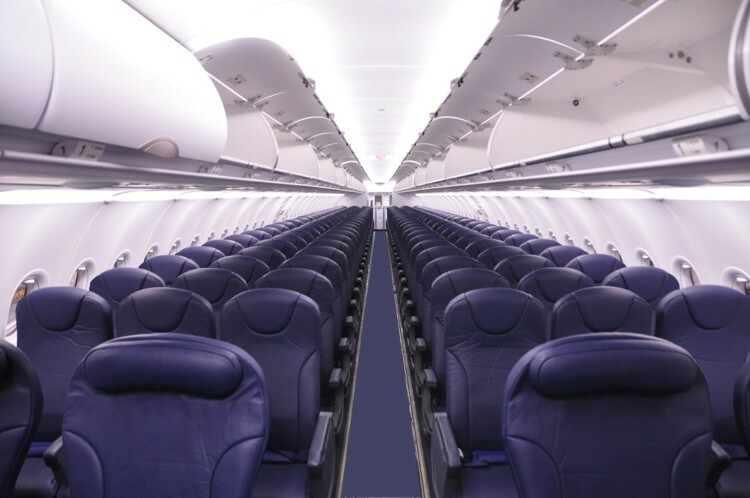 No padding on seats – After a long flight or even a short one your bottom can end up a wee bit sore. More rows in each plane – Added rows means less leg room. Spirit Airlines doesn’t want you to focus on what you’re missing out when flying with them. The company sells the “more rows on each plane” as a way to pass on lower costs, which translates into cheaper flights. But no matter how you sell it, less leg room isn’t a good thing. $9 Fare Club – For $69.99 a year, members can cash in on flights as low at $9 one way. Fabulous destinations – Flying to locations like Haiti, Puerto Rico or Colombia on the cheap is awesome! Assigned seats – Even if you don’t pay for your seat when you check in you’re given an assigned seat. Free Spirit Dining – In connection with the Free Spirit miles membership you can earn miles when dining out, even locally. The Big Front Seat – Wider seats and added leg room for a slight cost. Flight Flex – Up to 24 hours before departure you can modify your itinerary for free one time. If there is a difference in fare you are responsible for the change in cost. Military Discounts – Spirit Airlines allows military members with valid military ID to check two free bags and one free carry on. No other airline’s discount program can compare to Spirit’s $9 Fare Club. Being able to fly for $18 (plus taxes and fees) round trip is unheard of and even if you have to pay baggage fees, the flight is cheaper than anyone else. Does Spirit Airlines Work for Families? Spirit Airlines does its best to accommodate families. If flights are booked at the same time, Spirit tries to ensure that you are seated together if you chose not to pay to choose your seat. But to be guaranteed seats together, I recommend paying the small cost for peace of mind. Spirit allows one car seat and/or stroller per child to be checked for free. TravelingMom Tip: Take advantage of the $9 Fare Club – pack a backpack with snacks, a carry on with clothes and take a weekend getaway on the cheap! “You get what you pay for” is a phrase that is thrown around all the time when discussing budget airlines. And it’s true. If you go in expecting first class you’ll be greatly disappointed. Keep an open mind, remember you’re saving possibly hundreds, plan ahead and have a fantastic trip! Low cost airlines are always a nice option to travel! It sure can be quite cheap but once you add up things like heavy baggage, booked seats, foods… not that cheap. So you always have to be careful when thinking about low cost. How about traveling frontier specifically with child seats? My kids are 6 and 8 and need boosters. Will I have to pay extra to bring those along? I do suggest calling Frontier to double check, but you should be able to gate check your booster seats for free. If you plan on using them during the flight they have fit within Frontier’s dimensions and cannot be used during takeoff and landing.